What would your life look like with less pain and stress? Here’s what NUCCA can do to help turn that fantasy into a reality for you. The National Upper Cervical Chiropractic Association (NUCCA) is a systematic way of correcting spinal misalignments through objective evidence such as x-rays and postural examinations. Founded in the 1960s, ongoing research has allowed for continued improvement in areas of x-ray, adjusting, and overall patient care. Doctors practicing this technique are trained to use all the gifts science has given us, such as mathematics and physics, to determine the relationship of the spine to the everlasting force of gravity and correcting it to a more balanced state. In Chiropractic there are as many as two hundred fifty different procedures available for doctors to care for patients’ spines. The NUCCA technique is rare in the fact that pre and post x-rays are taken to ensure that a correction has been achieved. These x-rays allow us to use less force by having the perfect angle at which to adjust the upper spine. With the NUCCA procedure there are no manipulations and patients are not twisted, cracked or popped. Another major difference between NUCCA and other techniques is the concept of holding or maintaining the adjustment. It is not necessary to adjust the spine over and over again if it is truly corrected and stabilized. The NUCCA procedure is designed to effectively correct the spinal misalignment, not to continue to treat the resulting symptoms. Since there is an inherent weakness in a patient’s spine once it has been damaged, there is a need for periodic check-ups to monitor the stabilization of the spine. Many times, patients will become more aware of the warning signs that they may have lost their alignment. With the NUCCA procedure the doctor is able to correct the ASC, stabilize the spine in its normal position and reverse it’s progressive degenerative effects. During the recovery it is determined which symptoms relate to the spine and which ones do not (different degrees of the misalignment will create stress on different areas of the body and will cause different symptoms) and to determine whether the patient’s body can recover and to what degree. 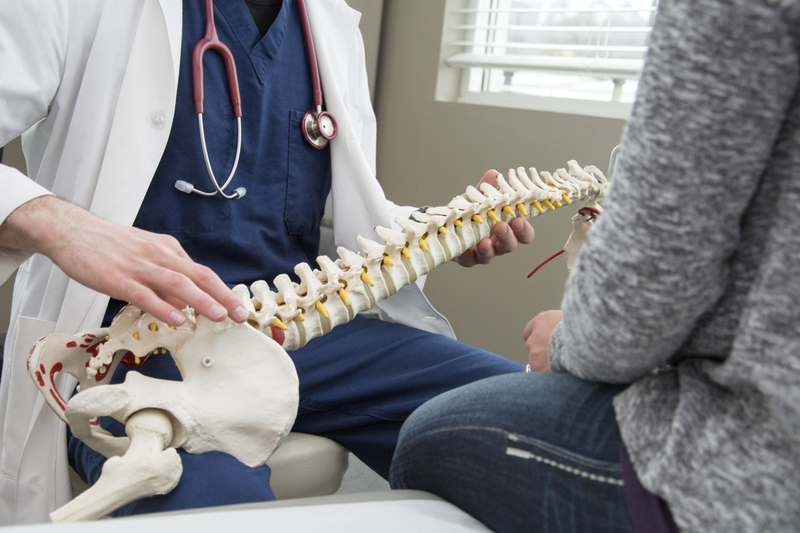 This allows the patient to have the spine corrected and not only to recover, but also to recognize any spinal or spine related problems, which will allow the patient to know if the spine has misaligned again in the future. A weakness remains for as long as the patient lives for the spine to misalign again. Through precise X-ray measurements of the spine it has been found that when a spine misaligns again, over 90% of the time it will misalign in the same direction, only the degree varies. This allows the doctor to have predictability and to be able to duplicate the adjustment without the need to X-ray the patient on future visits. There are however, times that new injuries can create new and different misalignments and new X-rays are needed. Patient education consists of creating awareness of when the patient’s spine is in its normal position and when it has misaligned again (to give the patient the ability to determine their own need for care beyond their recovery).